The American south has a unique flair for theatricality and a dark past. Nothing reflects this match-made-in-hell quite like creepy stories from Tennessee. From poltergeists to unusually intelligent, cruel spirits and stories only made worse by the ways in which they bleed into reality, these Tennessee urban legends are terrifying and strange. You'll no doubt recognize some classic folklore tropes in these stories, but Tennessee puts a unique twists on the tried and traditional, spinning the kinds of tales that might make you feel sick to your stomach. There's blood, guts, tragedy, and lots of angry ghosts in creepy Tennessee. The amount of violent spirits seeking vengeance in Tennessee is enough to send any sane person running. Many of these ghosts kill and torture, and some even set their sights on destroying entire families. If you want to know more about what makes this state's ghosts and legendary creepy places and folk criminals especially eerie, feast your eyes on this terrifying list. In 1804, farmer John Bell and his family settled in northern Robertson County in Tennessee and became prosperous members of the community. In the summer of 1817, a cruel presence began haunting them. They saw strange animals on the property and heard knocking from within, and outside, the house, chains being dragged through rooms, and all sorts of gurgling and choking sounds. After a year, Bell confided his troubles in a neighbor and a committee was formed to investigate. The presence became known as the Bell Witch, and her power grew with the crowds that came to feel her power and, eventually, it was said, speak to her. Though she never assumed corporeal form, many claim to have spoken to the Bell Witch. They say she knew details about the past and future and could be in two places at once. Her goals were to kill John Bell and stop his youngest daughter from marrying a neighbor. She slowly destroyed his health and daughter. After John Bell's death in 1820 and the dissolution of his daughter's engagement the following year, the witch promised to return in seven years. She kept her word, spending a few weeks with Bell's son in 1828, discussing the past and future. She said there was a reason Bell had to die, but she never revealed her motive. She then said she would return in 107 years, but many think she never left the area at all, due to ongoing bizarre events in the town and the nearby Bell Witch Cave. 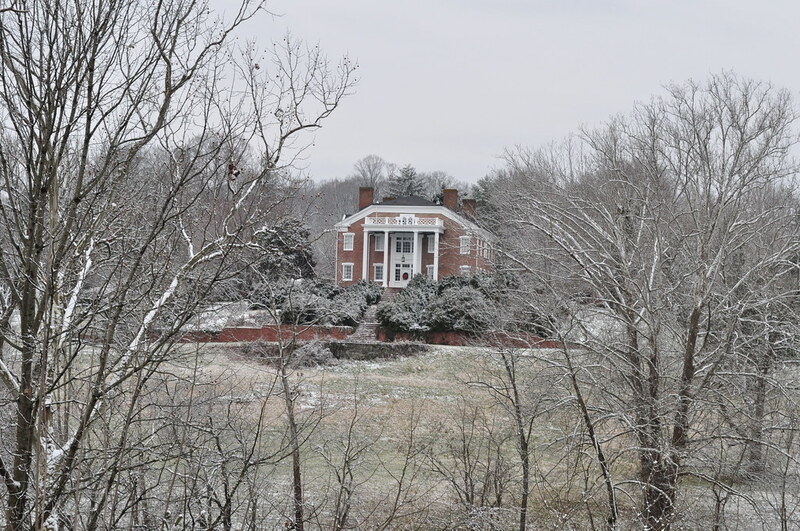 The Rotherwood Mansion of Kingsport was built by successful plantation owner and town founder Frederick Ross, who had a daughter named Rowena. Rowena's life was plagued by tragedy. Her first love died in a boating accident on the day of their wedding, and her second husband died of yellow fever. After marrying again and becoming a parent, she watched her only daughter died. Overcome with grief, Rowena killed herself. People claim to have seen her ghost, dressed in white, walking the halls of Rotherwood. 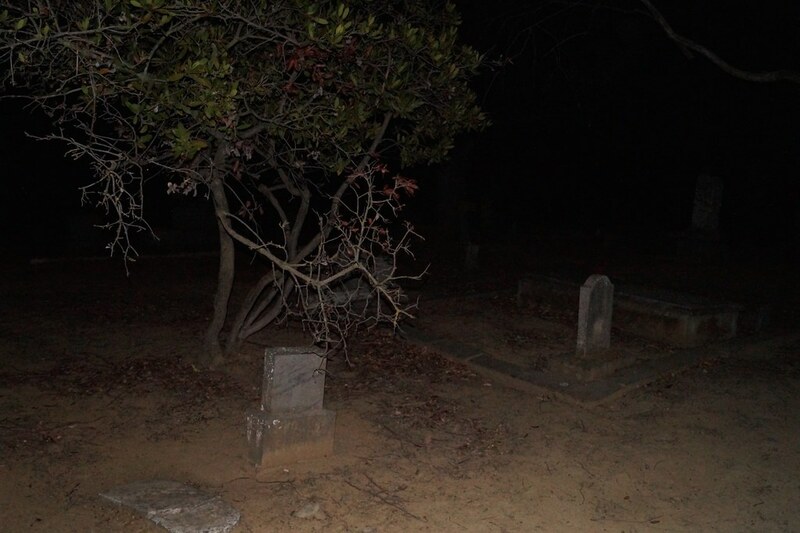 At night, strange lights can be seen dancing above the graves in Chapel Hill Cemetery in McKenzie. And this isn't the only strange trick light plays on your areas in the area. A nearby church, built on the site of an older church, which, as luck would have it, was built on top of, or at least very near, a Native American burial mound (hate it when that happens), is plagued by walking shadows with no discernable light source. This old haunted auditorium in Nashville is famous for hosting some of the biggest names in country music throughout the years. The ghost of Hank Williams Sr. supposeldy haunts the place; he's been seen backstage and a white mist that's believed to be him singing was once seen taking center stage. Others have noted several other presences on the property throughout the years,and the venue is associated with the Opry Curse, which many say led to the untimely demises of numerous country artists. The curse is related to Grand Ole Opry, a popular revue hosted at the venue, 35 past participants of which are believed to have died violent or untimely deaths.